The Sher Institutes for Reproductive Medicine are proud to welcome a number of outstanding physicians that have joined the SIRMSM family over the past year. Each of these doctors has been recruited for his expertise in state-of-the-art infertility diagnosis and treatment, his warm and compassionate manner, and his genuine desire to help couples who are struggling with infertility issues. 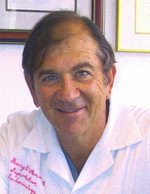 Alexander M. Dlugi, M.D., F.A.C.O.G. With more than 22 years’ experience in Reproductive Medicine, Dr. Dlugi has been involved in the field since the early years of IVF in the United States. He is board certified in Reproductive Endocrinology as well as Obstetrics and Gynecology. 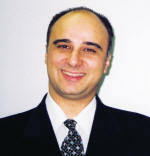 Prior to joining SIRMSM in 2005, Dr. Dlugi was the Director of the Reproducitve Endocrinology and Infertility Unit at Morristown MemorialHospital where he guided the construction of its IVF Center. He previously served as Director of the Division of Reproductive Endocrinology for the Henry Ford Health System where he also established its IVF program. Dr. Dlugi has held academic positions at Yale University School of Medicine, Harvard Medical School, Tufts University School of Medicine, the University of Michigan School of Medicine and most recently atColumbia University. His areas of special expertise and research include Ovarian Follicular Growth and Development, Ovulation Induction, and Endoscopic Surgery. With more than 10 years’ experience in the field of reproductive medicine and infertility, Dr. Saleh brings his expertise and passion to the new SIRMSM-Dallas office. Board certified in Reproductive Endocrinology as well as Obstetrics and Gynecology, he is skilled in all aspects of Assisted Reproductive Technology and is committed to addressing the individual emotional needs of his patients in the most compassionate and professional manner. He has authored numerous scientific abstracts and articles, and has won several awards for his work. Dr. Saleh is a member of many professional organizations and is active in teaching and lecturing on topics of Reproductive Medicine and Infertility. His patients rave about his warm and caring personality. Dr. Levine possesses a wealth of knowledge in the field of infertility and Assisted Reproductive Technology. He is the founder and former Medical Director of the Upstate University IVF Program at SUNY UpstateMedical Center in Syracuse. Board certified in Reproductive Endocrinology as well as Obstetrics and Gynecology, Dr. Levine is a proponent of adjunctive treatment and stress reduction in the treatment of infertility. He is the author of numerous scientific papers and has lectured extensively at national meetings and conferences. As the father of two daughters conceived through In Vitro Fertilization, he brings a personal understanding of the physical and emotional difficulties encountered by his patients. Dr. Levine heads the newWestchester County office of SIRMSM-New York. 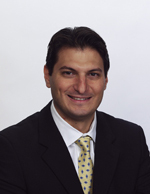 Dr. Bayrak brings a passion and dedication to his work that instills confidence in his patients. He is known for his kind and understanding manner. As a perfectionist, Dr. Bayrak is determined to help his patients achieve their dreams of having a child. He has authored numerous scientific abstracts and articles as well as medical textbook chapters on ovarian aging and ovarian hyperstimulation syndrome. His papers have won numerous awards at various national and international scientific meetings. Dr. Bayrak is actively involved in teaching medical students as well as lecturing on Assisted Reproductive Technology and In Vitro Fertilization. After 10 years as an Ob/Gyn performing Assisted Reproductive Technology procedures as well as managing ongoing pregnancies, Dr. Simckes joined SIRMSM in order to devote his full energy to infertility treatment. With more than 15 years’ experience in infertility, he is a compassionate and dedicated physician who takes pride in helping his patients achieve their dreams of parenthood. He has written numerous scientific papers and is a frequent guest on television and radio programs. Dr. Witten has devoted his medical career to the practice of Infertility treatment. His years of experience have given him the sensitivity and insight to guide couples as well as individuals during what is often an emotionally stressful time. His medical expertise and his respect for the patient/doctor relationship are the foundation of his personal approach to patient care. 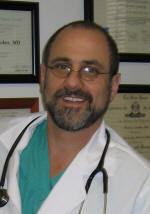 He is board certified in Reproductive Endocrinology as well as Obstetrics and Gynecology. As both the Director of Reproductive Endocrinology and Infertility and the Vice Chairman of the Department of Obstetrics and Gynecology at St. John's Mercy Medical Center, he is a fixture inSt. Louis reproductive medicine. Dr. Witten has over 20 years experience in Infertility and is an Assistant Clinical Professor at the St. Louis University Hospital School of Medicine. As with all of the doctors at the Sher Institutes for Reproductive Medicine, you can access these physicians via the SIRMSM website discussion boards. 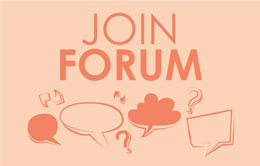 They are happy to answer your questions or provide information regarding your individual situation. Also, watch for chats with these doctors in the months to come on the INCIID website. With offices in Los Angeles, Orange County (CA), Sacramento, Las Vegas, Dallas, St. Louis, New Jersey, New York and Central Illinois, The Sher Institutes for Reproductive Medicine are accessible from any area of the country as well as from international locales. The SIRMSMphilosophy of warm, compassionate, personalized reproductive care combined with leading edge A.R.T. techniques and ongoing medical breakthroughs is embraced and practiced by all SIRMSM physicians and staff.